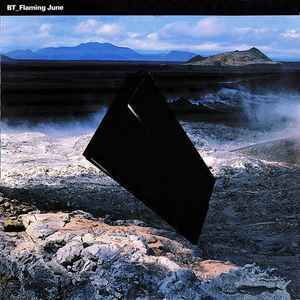 I listen to trance since 1992 and i have never encountered a better trance track than Flaming June (PvD & BT mix).What a killer melody! I'm certainly not the only one to say that. It's perfection! It's genius! The original is so good all other mixes sound like crap. I have the double vinyl on Perfecto Records. One of the best trance tunes ever made, completely ruined! Orbitus Teranium in it's original form is one of my favourite tracks from ESCM and this single release features an amazing remix by Tipper. I had always wondered what the mix name 'Lenco Shift' meant but had never looked, until recently when I discovered that Lenco is a California-based company making drag racing gear transmissions - Lenco Shifters! In the 1990's, Tipper famously customised some sports cars with huge and incredibly powerful soundsystems. His interest in performance and racing cars obviously led to the naming of this heavy breakbeat remix. This track is my favourite song of all time, BT and PVD really excelled themselves, the end result is one of the best trance records ever! The BT & PVD takes the crown position as the best version of the song, I mean it has to, it's a classic! The Chicane mix is excellent and provides a great Chicane trademark summer atmosphere although at one point there seems to be a volume error right after the big build up to what's supposed to be a defining moment of the track but instead the error kills the vibe and moment that it carries all throughout the track, I'm not sure whether it's down to a mistake during production but I've heard some people say it the problem occurring during the mastering of the CD, not sure whether it applies to the Chicane mixes that are available on vinyl record. The H.H.C. version is also a well made remix with a nice bouncy rhythm which gives you freedom to dance on the dancefloor. The BBE mixes are very smooth and smokey at the same time which is very nice. Overall it's the best of the best, this is something that should be in every trance fans collection along with the remixes. When people I know say trance music is terrible (they think of disgusting eurodance and house music such as clubland CDs) I play them the BT & PVD mix to show them that they're wrong, I always end up with the reply "Well that is actually a nice song" which just goes to show the calibre and quality of this production, kudos to BT & PVD for their greatest ever work. Sweeping epic chords and powerful piano sections make this a hands in the air classic that chugs along at a perfect pace and never leaves you bored, sections come and go and it finishes on an oh so lovely dnb breakdown that adds a perfect change to the pace of the track to allow you to change direction in your set! Amazing, 5/5 buy it NOW! One of the very best trance records ever made. The BT & PVD Mix was recorded in conjunction with their mix for 'Forbidden Fruit' by Paul Van Dyk. These two records mix brilliantly, none more so than on Paul Van Dyk's inaugural Essential Mix for Radio 1 back in 1997. The track builds with piano keys, interspersed with powerful kicks, before the pumping beats start in earnest. A prog style acid line drives it along to the well deserved breakdown, where heavenly bliss takes over. This is not the longer version that Paul Van Dyk was playing in his sets at the time. Instead this version finishes off with a couple of minutes of drum'n'bass. Why did we have to wait so long for this record to gain an official release? It was finally released in the UK not in the month of June, but July 1997.